Reviews and Testimonials - Gerkin & Decker P.C. 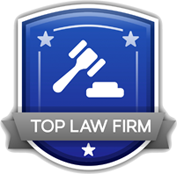 "Excellent attorney, I would highly recommend Attorney Decker to anyone that is looking for a very competent attorney. He does an excellent job of representing clients. Call Ryan and you will see for yourself!" "VERY happy customer, Andy handled my case and I could not have been happier with the work that he did. He was totally informative of every step of the process and he made it as painless as possible. His knowledge was second to none. I have and will continue to recommend Andy because he is an excellent young lawyer."